Check out this recent article posted by WPRI on the new burial grounds at Swan Point Cemetery. Searle Design Group has been a proud steward of Swan Point Cemetery for over 20 years. The new burial grounds, which include a cremation garden, will allow the cemetery to serve more people and accommodate a diversifying range of burial options. 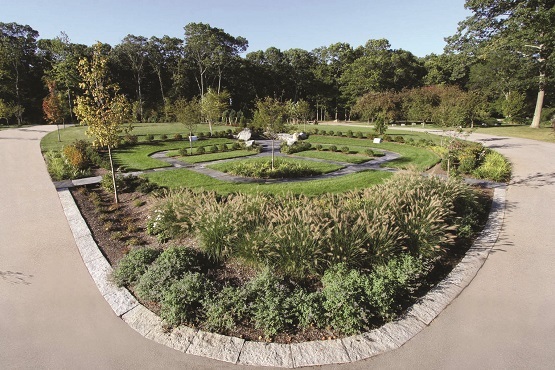 As a nonsectarian facility and one of the country's first "garden cemeteries," Swan Point has a rich history of embracing new cultural norms. The diversity of landscapes accommodates a wide range of uses including mourning, contemplation, celebration, and recreation. It is especially popular among bird-watchers and other nature-enthusiasts. Ecological concerns played an important role in the design of the new grounds; new permeable paving technology was used for the road and an extensive bio-swale system manages storm-water runoff (engineered by Caputo and Wick Ltd.) If you haven't been to Swan Point recently or if you've never been, we highly recommend a stroll through the picturesque 200 acres - Providence's largest green space!